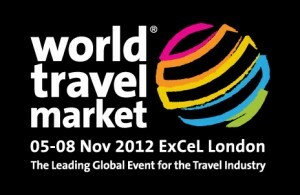 Iain & Craig will be at the World Travel Market this November from Monday 5th to Wednesday 7th. They’ll be publicising Freetobook’s acclaimed Channel Manager and all its other great Plus+ services, as well as promoting independent accommodation in general and making lots of new contacts. Freetobook now has more than 2000 users outside the UK, showing just how powerful the model of free, open access can be for accommodation owners in many different parts of the world. With that in mind, Craig & Iain are particularly looking forward to meeting international visitors to the WTM. Now in its 33rd year, the World Travel Market remains the leading global event for the travel industry. It offers an unmatched opportunity for people working in all areas of the industry to keep up with latest developments and thus maintain competitive advantage. The 2012 World Travel Market will take place from 5th – 8th November. Over four days at the ExCel centre, close to 50,000 will make the most of this great chance to meet, network and negotiate… sometimes over a drink or two! In terms of media coverage, it also boasts the largest Press Centre of any annual event in the UK, staffed by up to 3000 international journalists. So it’s a great place for travel professionals to see and be seen. Freetobook’s co-director, Iain Stewart, recently returned from the INDABA in Durban, one of Africa’s biggest annual tourism marketing events. The 2012 INDABA, with its theme of “Shaping Our Future Together”, was a huge success. More than 1500 exhibitors from all parts of Africa took part and by the beginning of the final day nearly 11,000 people had attended. We’re delighted to announce that freetobook (in the form of co-Director, Iain Stewart) will be attending INDABA 2012 in Durban South Africa between May 12th and 15th. It’s another great opportunity for freetobook to meet with existing customers and make more friends. 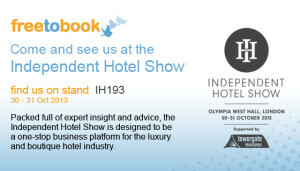 Craig, Iain and Caroline will be at the Best of Britain & Ireland (BoBI) this March, publicising freetobook, promoting independent hotels / B&Bs / guesthouses and making lots of new contacts. They’ll be at stand E34 and they’re looking forward to meeting you, so if you’d like to make an appointment for a face-to-face chat, just drop one of them a line by email. An essential industry showcase, Best of Britain & Ireland offers exhibitors, trade visitors and VIP Hosted Buyers from home and overseas an unmatched opportunity to get together and find new business opportunities. It’s a strictly trade-only event, selling the best of Britain and Ireland to British and international markets. 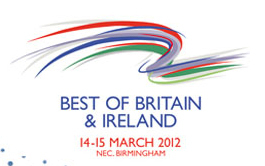 BoBI 2012 will take place on 14 – 15 March in Hall 9 at the NEC, Birmingham. Every year, travel professionals from many nations converge on London for the World Travel Market. The event offers an unmatched opportunity for them to keep up with the industry’s latest developments and thus maintain competitive advantage. Over four days at the ExCel centre, close to 50,000 will make the most of this great chance to meet, network, negotiate, conduct business… and have the occasional drink! The 2011 World Travel Market will be the 32nd. This year it takes place from 7th – 10th November. In terms of media coverage, it boasts the largest Press Centre of any annual event in the UK, staffed by up to 3000 international journalists. So it’s a great place to see and be seen.